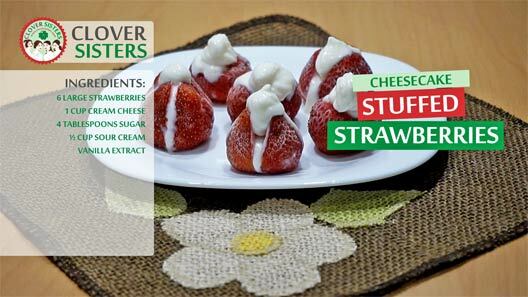 Delicious combination of fresh strawberries and creamy cheese. Great snack for kids, perfect for birthday parties. Flat the strawberry tops just enough to stand on it. Hull strawberries and scoop a little more of strawberries to make place for the filling. Whip together the cream cheese, sugar, sour cream and vanilla extract. 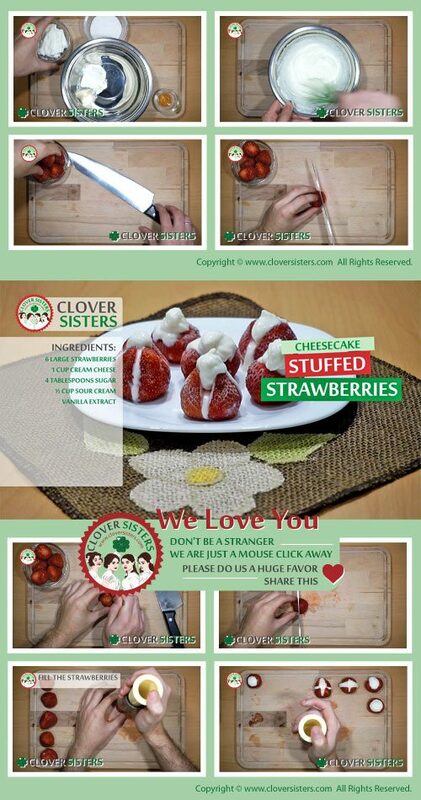 Fill the strawberries.